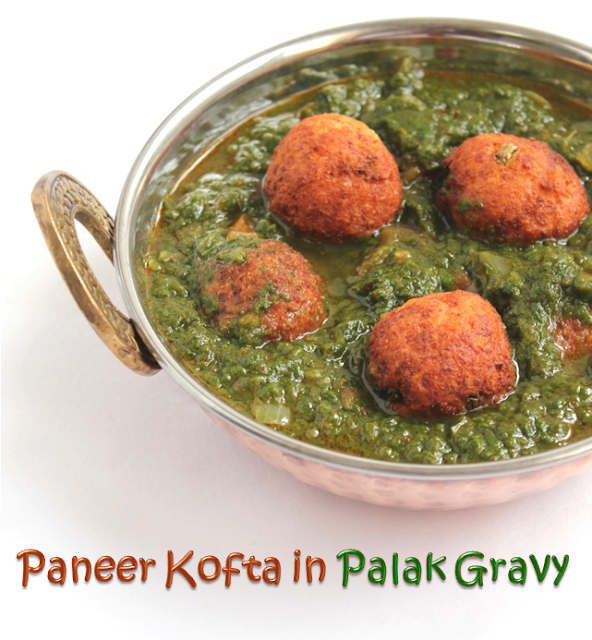 I saw this recipe in a magazine recently, it looked quiet interesting to me so I thought let me give it a try.Technically it is somewhat same as palak paneer because the gravy is the same and paneer is also the same except that it is made in to a kofta in this recipe which makes it different and more tasty.It came out quiet well.It will taste great with some Nan's. The original recipes says to add some cashew powder in the gravy(palak)at the end but i didn't since it was already rich and fried koftas in it so i just skipped that step.You can try if you want to!!! 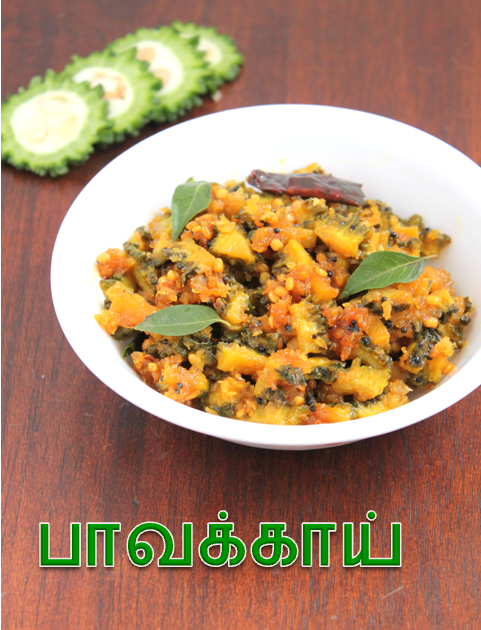 Bitter gourd is not a favourite vegetable among children in a lot of homes and it is the same in my house also.As a child even i used to runaway from bitter gourd but after i started cooking i did experiment a lot of vegetables that were not in my favourite list.!!! The way that this particular type of curry is cooked makes it really tasty because it is sour,sweet,spicy and slightly bitter.The bitterness really depends upon the bitter gourd itself while some of them are more bitter and some of them are not at all.So depends on your luck and whether you do not mind the bitterness! Tomato Pickle or Tomato Thokku as we call it is the Indian form of jam.We spread it on bread,idli dosa,chappati and of course it tastes great with curd rice(comfort food of south India).It has been a long pending to make this pickle which is more like a spread for my kids.They find jam too boring!! !So i keep making Tomato,onion and mango pickles in turn. 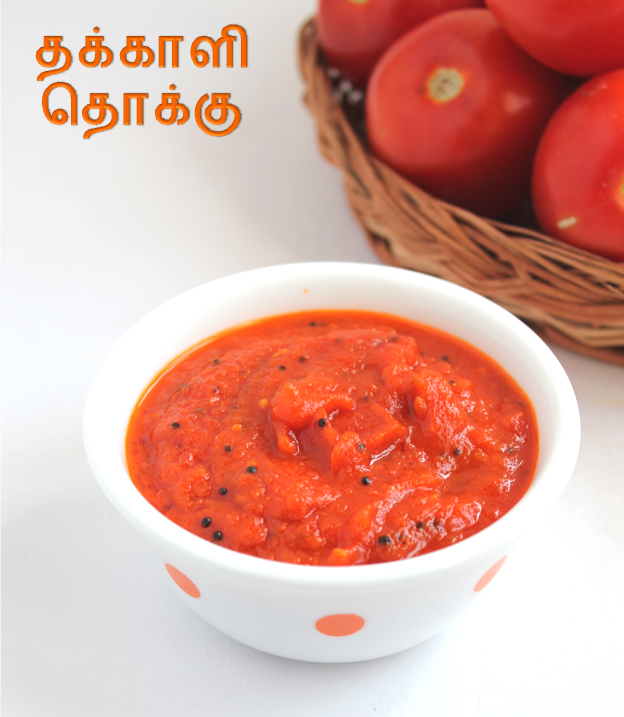 Coming to the Recipe it is quiet easy.Drop about six tomatoes in boiling water and close it and switch off the stove.Allow it to cool blend it in to a puree boil it till it thickens with some salt,chilli powder and jaggery.And it is is ready!!! 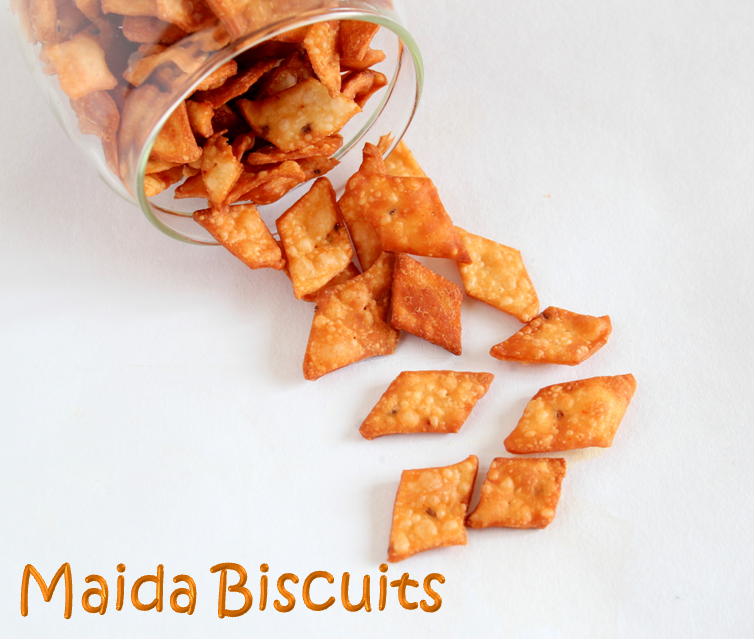 Maida Diamond Biscuits as it is popularly called in South Indian homes is a all time favourite teatime snack.It is so addictive that you cannot stop eating.I remember when i used to come back from school i used to head straight to the dabba(box)with these biscuits and grab a plateful of them and keep eating non stop!! !A mix of chili and sugar is the speciality of this biscuit. 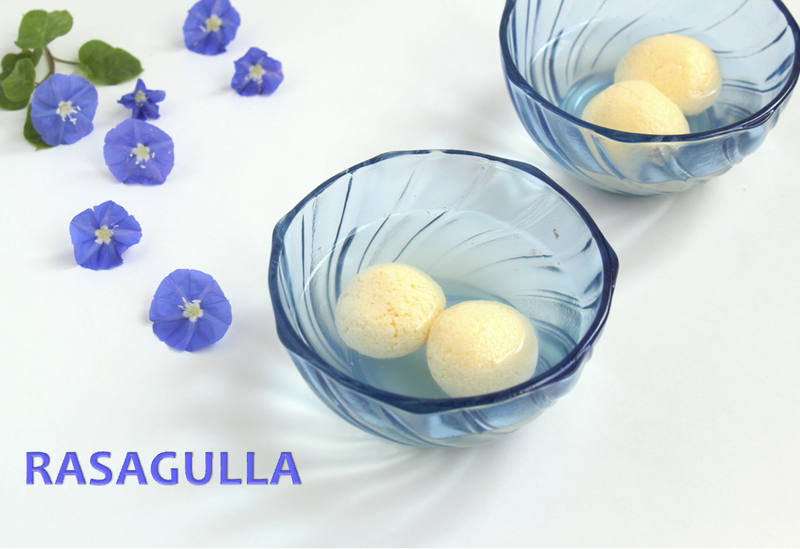 This is my 250th post.I wanted to treat myself with a sweet that is simple and easy to make and of course that is not too fattening.I finally decided on the Bengali white Rasagullas.Today being a birthday in the family it is a double treat.Surprisingly there is no need for any ghee in this recipe.Other than the sugar part you don't have to be worried about any fat!! !you can afford to gulp a few without much of guilt !!!! 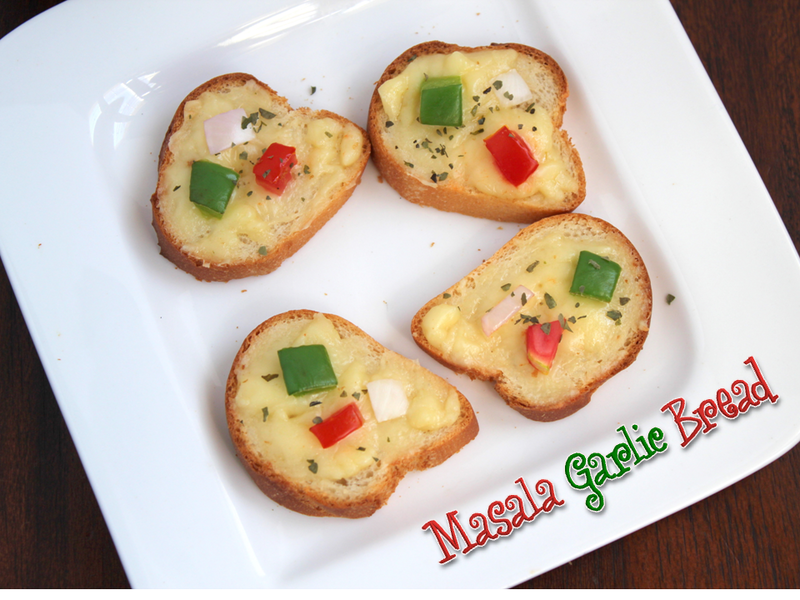 Who wouldn't like an instant snack that is so easy to make and taste like store bought garlic bread with extra toppings!! !especially kids.I think it is a great snack! 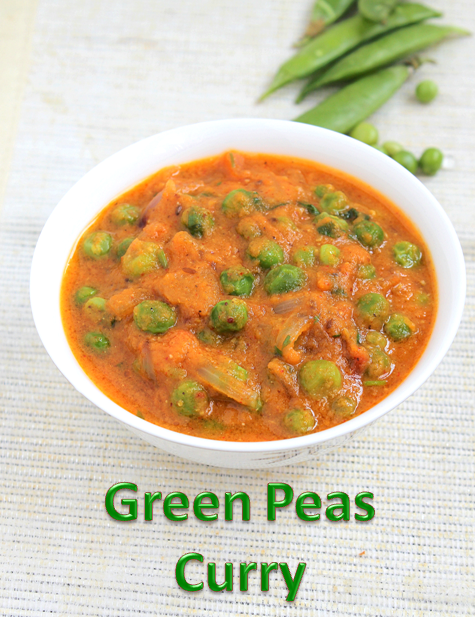 One more recipe with fresh green peas and it is our favourite.Winter is coming to an end and i just made use of the availability of fresh green peas.Green peas curry or green peas masala is quiet simple and easy to make. 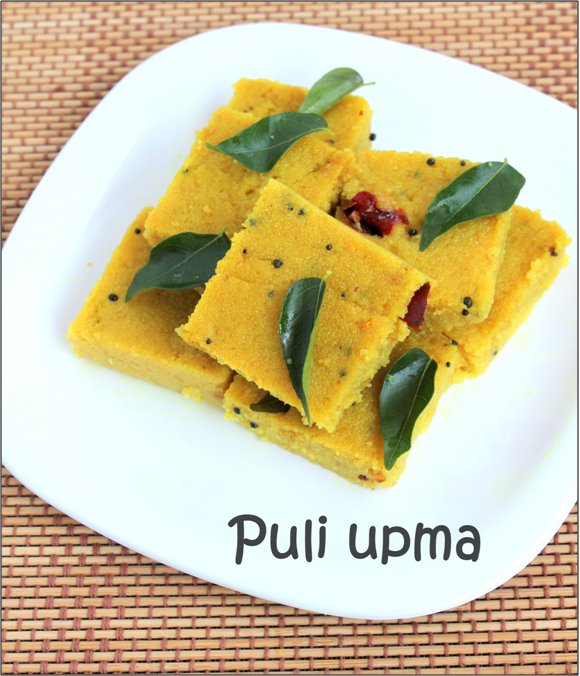 You can make it with dried peas also in which you have to soak the peas overnight.It is a yummy accompaniment for phulkas and all types of Indian breads, flavoured rice and pulaos.According to me it tastes great with Bread!! !Try it and let me know!!! This is a easy tangy snack, though i make it rarely it is our favourite one.It is similar to upma except that you cook it in Tamarind water.The fact that i pour it on a plate and cut into pieces makes it more interesting for the kids.